Submitted by JamesD on Wed, 2006-01-04 19:49. 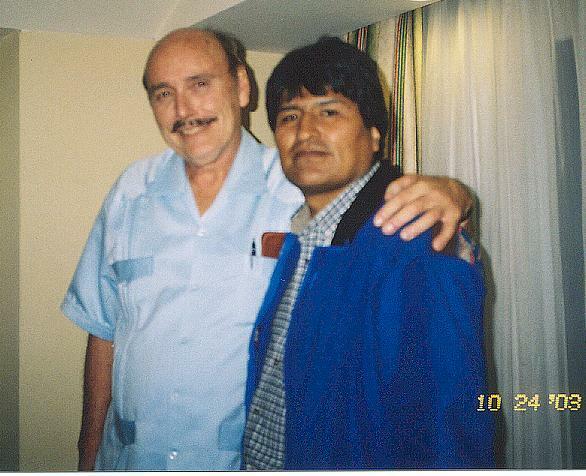 Cockcroft with Evo Morales in Mexico City hotel for First International Encounter of Intellectuals in Defense of Humanity, October 2003. They later spoke at inauguration of event.